With 9,700 miles of fishable streams and rivers and 600,000 acres of lakes, bayous, and creeks, Arkansas offers plenty of opportunities to catch a variety of freshwater fish year-round, including trout, bass, catfish, bluegill, walleye, crappie, and more. One of the more popular spots, White River, is stocked with thousands of rainbow trout by the Fish and Game Commission each year, helping anglers catch the largest haul of the species of all trout streams in the country. First-timers will especially appreciate those odds. Need another perk? Getting around Arkansas should be easy on your wallet. According to AAA, the state boasts some of the lowest average gas prices in the country. More money for tackle and bait! Step right outside your cabin and start fishing bright and early at Fulton's Lodge along the White River. One bedroom units (double occupancy with two twin beds) include TV, Wi-Fi, a picnic table, BBQ grill, a small fridge with freezer, stove, cookware, and other amenities for just $96 per night. Considered by some folks as "the best wild trout stream in the USA," the Elkhorn Creek in Landgraff is known for its abundance of large brown and rainbow trout. Catch-and-release fishing is encouraged, since, according to the nearby Elkhorn Inn and Theater, many of its guests catch 30 to 60 fish a day. All you need to fish the creek is a West Virginia fishing license, which you can obtain online at the West Virginia Department of Natural Resources website or any Walmart in the state. Military service members may find Landgraff particularly appealing, as the Elkhorn Inn and Theater offers a year-round 10 percent discount on guest room rates to active duty and retired military personnel and their families. It also participates in the "B&B For Vets" program on Veterans Day, allowing vets to stay free with a valid military ID. If you're from the Northeast, head out to the Adirondacks — particularly the Lake Placid region — where you can choose from eight lakes and ponds, and 10 rivers and brooks to reel in more than 15 species of fish. If you're a fly fisherman, head straight for the East Branch of Ausable River in the town of Keene, where the best hatches begin in May. Other destinations in the area include Franklin Falls Flow and Union Falls for walleye. For pike, you'll want to set up camp in the scenic Saranac Chain of Lakes. If you're traveling the open roads in an RV, park it at the Lake Placid/Whiteface Mountain KOA, which offers 50-amp spaces for up to eight people for a little over $50 a day. This includes full hookups, a gravel site pad, and cable with limited channels. Pets are allowed if you want to bring your fur-buddy along. Named after the legendary showman of the American Frontier, Buffalo Bill's Cody/Yellowstone Country in Wyoming provides ample opportunity for anglers near and far to fish private waters, or try their hand at fly fishing. Five scenic byways, plus airports make the area accessible, despite its remote location. The town of Cody has everything you'll need to make the most of your trip, including fishing outfitters for gear (fishing pro Tim Wade owns North Fork Anglers in town), as well as guest and dude ranches to lay your head at night. If you prefer a guided experience, the nonprofit organization Yellowstone Forever offers a variety of angling-focused, multiday field seminars, such as Women's Fly-Fishing for Beginners, and a Backpacking and Fly Fishing the Upper Snake River trip. And if you're looking to save some serious cash while in Yellowstone National Park, why not pitch a tent and live off the land like Buffalo Bill himself? If you prefer a trip with more creature comforts, head over to the Shoshone Lodge and Guest Ranch where you can catch a few winks in a tepee for about $130 per night in the off season. This pastel-painted region is ideal for deep-sea fishing, where you can test your strength and stamina against yellowfin tuna, blue marlin, giant sailfish, Amberjack, mahi-mahi, and more. Even better, you don't have to do any of the dirty work once dinner's on the boat, because many local restaurants will prepare and cook your catch for you. Toss out your line from piers and docks along the coastline or book fishing charter trips if you want an expert experience. If you think you've got what it takes to reel in a trophy fish, register for one of the several sport fishing tournaments hosted in the city. Airbnb is the way to go in Miami if you're in town for a fishing trip. 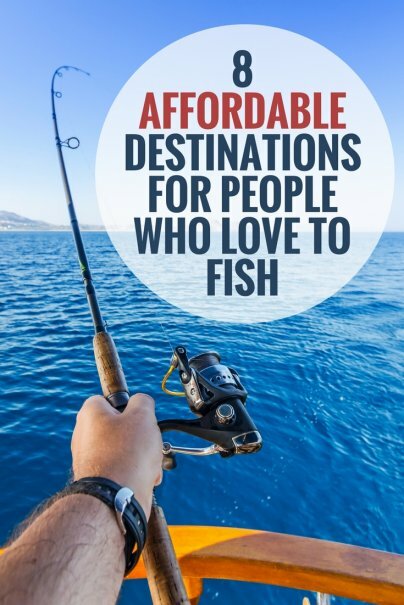 You can book space in someone's apartment or condo, either on South Beach or in the outlying suburbs (the latter option will be cheaper), or rent out an entire home if you're bringing a few fishing buddies along with you. Definitely more bang for the buck than a hotel in Miami Beach. Depending on where you live in North America, getting to Alaska may prove difficult, both logistically and financially. But there are deals out there if you look for them. The Alaska Airlines website is one place to look. Shave even more off the overall cost of the trip by renting a cabin in the borough city of Soldotna rather than staying in the pricier hotels and Kenai River lodges. 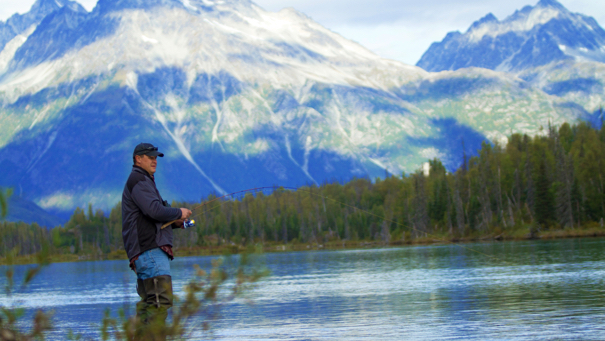 With the cash you'll conserve, you can spring for a day with a Kenai River guide fishing in the sun, where you're likely to hook the world-famous king salmon, halibut, and massive rainbow trout, among other species of good eats. Self-proclaimed "bass masters" will be in their glory fishing the 54,000-acre Lake of the Ozarks in Missouri, which is home to several major bass-fishing competitions throughout the year. In addition to bass aplenty, the lake is home to huge numbers of baitfish such as gizzard shad and bluegill, as well as crappie, several species of catfish, and more. You'll also find some of the best winter fishing here, according to tourism info that puts an emphasis on January and February as prime fishing months. Charter fishing for salmon is huge in the Port of Ilwaco, a place that claims the highest catch per unit of effort of any fishing destination on the U.S. West Coast. Salmon and Dungeness crab are caught from land off the North Jetty at Cape Disappointment State Park, but you also can expect to reel in sturgeon, albacore tuna, halibut, and lingcod. Surf perch is another favorite for land-based fishing. Plus there are lakes stocked with rainbow trout and shellfish harvesting, razor clams, oysters from Willapa Bay, and butter clams. Ilwaco is located at the mouth of the Columbia River, at the foot of the Long Beach Peninsula, three hours from the greater Seattle area. If luxury isn't important during your downtime, check into Heidi's Inn, a no-frills roadside motel-type joint just a few blocks from the water in downtown Ilwaco. The budget-friendly rooms will only set you back $95 per night.